How Much Does a Facebook Business Page Cost? Say you have a small business. Say you’re on Facebook but, when it comes to using social media for your business, you don’t know where to start. 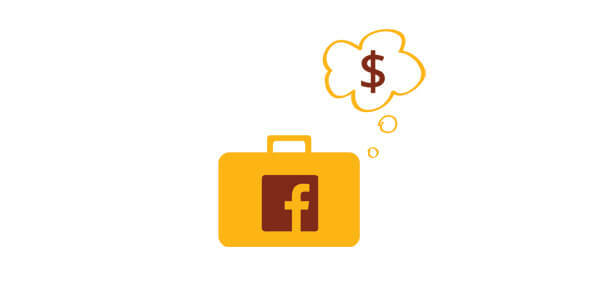 You might ask yourself: how much does a Facebook business page cost? Is it essential to growing my business? Is it worth the hassle? The short answer: it’s FREE! Setting up your Facebook business page costs you $0, and immediately establishes your presence on the world’s biggest social media platform. Facebook is always expanding its pages’ capabilities and evolving their role. Therefore many business owners have pages that aren’t performing as well as they could. To get the most out of your page, you should audit your profile, your content, and your audience. There are plenty of available tools online to transform your page from “beginner” to “expert.” And with our suite of social media audits, SSN is happy to help you through the process. Is a Facebook business page essential to growing my business? Today’s media landscape is not only dominated by the digital world, its conversation is driven by social media. With no barrier to entry and limitless potential, having a Facebook business page is essential to growing your brand. It’s also easy and practical. These recent statistics are staggering, and just the tip of the iceberg. Facebook is clearly where the people are; it’s also where your customers are. Not having an engaging Facebook presence leaves money on the table for you, and gives your competition an insurmountable advantage. While your Facebook business page costs nothing to create, any honest agency will tell you that growing your business online requires some investment. So, how much? And is it worth it? Given those statistics, smart businesses with savvy marketing can rapidly grow at little cost. Making a real, measurable impact is possible even for businesses with a local focus and a small budget. Within Facebook’s platform, your budget can be set and absolutely never exceeded. It’s worth a small investment to see bigger returns from a brand new audience. You and your business don’t have to find out. Drop us a line–we’d love to take the next step with you. Last Click Attribution: Last Call?